I have a problem with my product or order, what do I do? My order says it was sent on *Insert Date* – when will it arrive? My shipping address is incorrect – what do I do? Why have I paid for Courier shipping? Why do I have no option for Normal shipping? I would like to order a pre-order item, can I order other items with this? Can I purchase a model/component from a kit? I can’t download the digital product that I bought! What do I need to get started with Bolt Action? I’d like to see your product in person – where’s my local stockist? 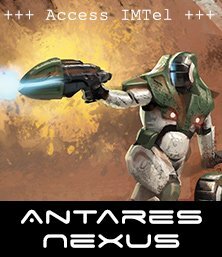 I run a game store and would like to stock your products – how do I do so? I run a game club, and we’re looking to get into your games – what support do you offer? I’m running an event, could I have some support? I’m in the US, and I’m being directed to the UK site. I’m in the UK and am being directed to the US site. I can’t access the forums/I’ve signed-up for the forums and my account is inactive..
My question isn’t listed here, what do I do? We’re sorry to hear that you have a problem with your product or order. Please contact us here with your name, preferred delivery address, a photograph of the problem where necessary and your order number if the issue is from an order placed direct through the Warlord webstore. Shipping times vary depending on the type of shipping selected at the checkout (Standard or Priority) and whereabouts in the world you are. Please note that all orders placed through the Warlord webstore are shipped from our warehouse, located in Nottingham, UK. Orders sent with standard shipping are not tracked and are handled by the local postal service. If your order hasn’t arrived after this amount of time has passed, it is worth double-checking at the local Post Office in case the parcel is being held there. Orders sent with priority shipping are fully tracked so we can provide a tracking number for your parcel, please contact us via info@warlordgames.com if you haven’t received a tracking number for your order. Please note, we have been advised by Royal Mail that all parcels may take up to 28 working days to arrive depending upon Customs Clearance times. Unfortunately we have been advised by our postal providers that we are unable to claim a parcel as missing until 28 working days after dispatch has passed, however if your order hasn’t arrived by this time, please get in touch via info@warlordgames.com and we will happily investigate further. Please note that – in this circumstance – time is key. We will do everything we can to update your details before your order is dispatched. 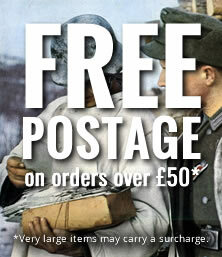 However our average turnaround time for a Mail Order is roughly 2 working days – so we urge you to please get in touch with us (either by phone on 0115 978 0386, or through info@warlordgames.com to make us aware of the issue as soon as is possible, so that we can intercept your order and make the necessary amendments before it leaves the Warlord warehouse. If paying through PayPal please make sure your delivery address is correct before placing your order – details of how to change your default delivery address linked to your Paypal account can be found here. Unfortunately if the order has already been dispatched we will not be able to amend the address and have the parcel re-directed. You will need to contact your local postal service as they may be able to re-direct the parcel. If the postal service are unable to do this your parcel should be returned to us in due course. Once the parcel arrives back with our team, we will be in contact regarding a re-delivery of your order. We do indeed! Our mail order phone number is: 0115 978 0386. Our team will be available to answer your calls Mon – Fri, 9am – 5pm GMT. Please have your card details ready, as well as the name/product codes of the items which you would like to order. Our shop here at Warlord HQ Nottingham is open seven days a week! Come on in and say hello Monday – Saturday 11am till 6pm (8:00pm on Wednesday!) and Sunday 11am till 4pm. There is plenty of parking right by the entrance, just head up the access ramp toward the Marcus Garvey Ball Room and turn left through the door to the store. Note that only popular stock items are available off the shelf, so please call in advance on 0115 978 4495 if you’re after something particular for your army. The price of shipping varies depending on which shipping option is chosen, if Standard or Courier and may also vary depending on the country of destination. Once you have placed your order and filled in the address details, before proceeding with the payment, you will be given the option to choose what type of shipping you wish to apply to your order and its price. Orders over £50/$50 will be eligible for free standard shipping and orders over £150/$250 will be eligible for free courier shipping. Due to Royal Mail shipping regulations, we are unable to ship some particular items (for example Aerosol Spray cans) using their services. If your order includes any number of such items, the parcel will be automatically sent by Courier Shipping. Please note, all orders placed with pre-order items included will be held until the release date of the pre-order item. If you want your other products earlier please place a separate order so we can ensure you get your goodies as early as possible! You can of course add something to your order! Please get in touch (either by phone on 0115 978 0386, or through info@warlordgames.com) and let us know which items you would like to add. Please note that – in this circumstance – time is key. We will do everything we can to add additional items before your order is dispatched. However our average turnaround time for a Mail Order is roughly 2 working days – so we urge you to get in touch with us as soon as possible to make us aware of the items you would like to add, so that we can intercept your order and make the necessary amendments before it leaves the Warlord warehouse. While normally we don’t sell individual components or models from sets, we can often make exceptions. Please email us at info@warlordgames.com with your request and we will look into if it is possible to sell the item you are after. The link to download a digital rulebook will be sent in a separate email entitled: Your downloads are ready. If you could check your junk mail folder in case this has gone into there we would really appreciate that. If you haven’t received this email please get in touch here and we can look into this further. You can indeed place an order for collection at a show! Please email us at info@warlordgames.com with a list of the items, which event you would like to collect them at, and if you would prefer to pay now or at the event. Please note that to ensure your order can be taken to the event we will need the order by the Tuesday before the event. We may not be able to take orders placed after this time due to casting times for models. We’d also highly recommend searching for your local gaming club via the GCN Club Finder – or using our ‘Bolt Action opponent finder’ to look for like-minded gamers and new opponents in your area. The stores that stock our products can be found here. Please try searching with the name of your local city and your postal/zip code for best results. If you have a nearby store which doesn’t yet stock our products, let us know here. Please get in touch with us here with your details and a member or our trade team will be in contact shortly. If you are a member of the GCN (Gaming Club Network) then we can back you in a couple of ways. We allow individual club members to place orders at a 10% discount. We also allow each club to buy 1 copy of each starter game from us at a whopping 50% discount. All you need to do is give us a call on 0115 9780386 and talk to Harry or Lorenzo. We are happy to help where we can, please get in touch with us here with the details of your event and a member of our events team will be in contact shortly. Please get in touch with us here with your details and a member of our community team will be in contact shortly. We’re sorry to hear that you are having problems with our webstore. The issues you are experiencing are most likely due to the cookies stored on your browser. 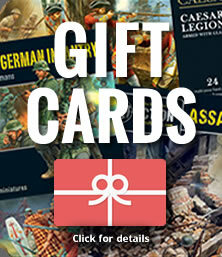 This should take you to the homepage of warlord games and from here you can select either the UK or US store. When you click the button to enter it will set a new cookie in your browser that going forwards will set the selected store as your default page. If this doesn’t work please get in touch here and we will look into this further for you. Our models are 28mm – also known as 1/56… Yes you can use 1/50 vehicles as well – whatever works for you is fine. There is no definitive right answer. Some players use 1/50, some use 1/48, – it’s down to personal preference – whatever looks right to you, is the correct solution for you. Our Doctor Who Into the Time Vortex range are the exception; they are 38mm tall. All of the Construction Diagrams we have available can be found here. If a construction diagram for your kit is not yet available, please send us a quick photograph of the specific components which are causing you issues to info@warlordgames.com and we will help. We’re sorry to hear that you are having problems with our forum, please contact us here with your user name and the email address used to sign up to the forum so we can look into this for you. We have now set a global price point for all our products which in turn has enabled us to be able to issue an RRP. This change was implemented when we introduced the new web store which has set the same price for everyone regardless of country, tax is now not removed during checkout as it isn’t included. Therefore unlike the old web store which had the old pricing structure there are no deductions applied in the shopping cart. This has also allowed us to keep our shipping the same to everywhere. Our Customer Service team will be happy to help with any advice or queries, please get in touch with them via info@warlordgames.com.